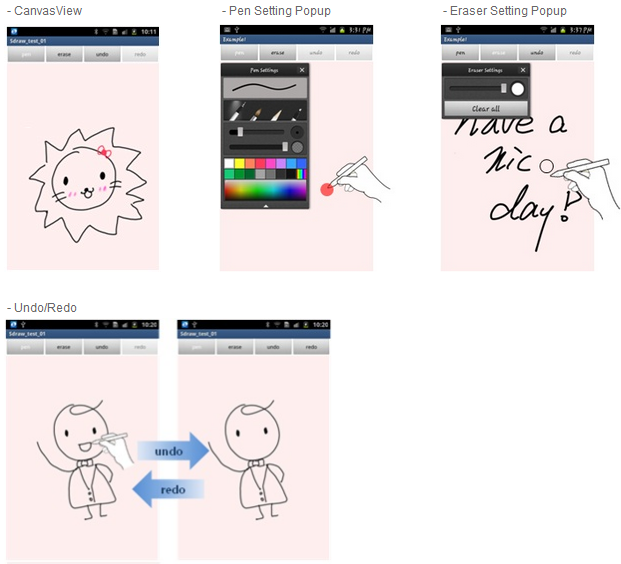 Samsung Releases SDK 1.0 For Galaxy Note "S Pen"
Samsung's Galaxy Note is an oddity. At 5.3-inches it is clearly too large to be a conventional smartphone, but it is also too small to be a tablet. Adding further to its mysticism, it comes with a stylus, something rarely seen in contemporary touch screen devices. Nevertheless, Samsung has big plans for this device evidenced by their enthusiastic release of the SDK for the S Pen. The first version of the SDK provides developers with the tools needed to create rich apps that can fully utilise all the functions of the S Pen. Some of these features include, a CanvasView for drawing the background, a panel for adjusting the width, opacity, and line colour of the pen, an adjustable eraser, and an undo/redo option. The SDK can be downloaded from the Samsung Developers page.